Rancho Palos Verdes (RVP), Los Angeles, California Truck Accident Personal Injury and Wrongful Death Lawyers! We are Aggressive Truck Accident Injury Lawyers With Over 40 Years of Experience to Help You! If you or someone you care about had a truck accident in Rancho Palos Verdes, read this: After a truck or car accident and during a personal injury claim, various issues may arise pertaining to the claim, from managing legal formalities with the California DMV and various insurers to coping with injuries, medical care, hospital bills, damage to property and loss of income, and even the tragic loss of a loved one leading to a wrongful death accident claim. Contact us 24/7 for expert legal assistance in Rancho Palos Verdes, CA during your truck accident personal injury case. Our personal injury lawyers offer legal assistance to those injured in truck, car, motorcycle, bicycle and other types of personal injury accidents and even to families fighting a wrongful death accident claim of a loved one who died in a truck accident. An affluent suburb of and city in Los Angeles county, Rancho Palos Verdes is known for large open lands and wide expansive views of the Pacific Ocean. Rancho Palos Verdes is Spanish for “Ranch of Green Trees or Ranch of Sticks”. 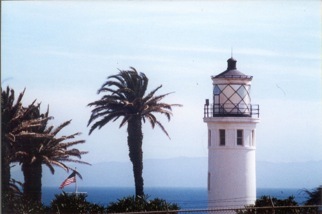 Rancho Palos Verdes (RPV) was incorporated on September 7, 1973. Rolling Hills, Wilmington, Lomita, Palos Verdes Estates, Torrance and Carson border RPV. 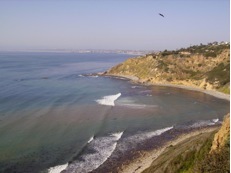 The most notable geographic features of the city of Rancho Palos Verdes include the Palos Verdes Hills and cliffs, with grand vistas of the Pacific Ocean and of nearby Santa Catalina Island. 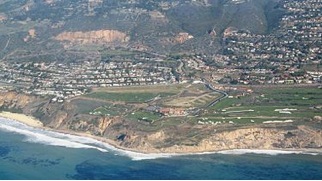 According to the U.S. 2010 Census, the total population of Rancho Palos Verdes was 41,643. 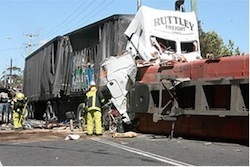 Free Truck Accident Case Consultation & Evaluation - No Fee Until You Win! Contact us 24/7 – its quick and easy. Fill-out the details of your truck accident or other personal injury case in Rancho Palos Verdes, CA and our experts will get back to you in not time. You can even send us your questions and information by email at info@WalchLaw.com. And there is NO fee until you WIN! We work on a contingency fee on truck accident injury claims.